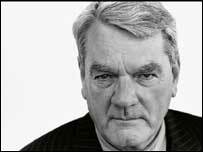 I expose the semi-revisionist position that David Irving has espoused in recent years as baseless rubbish. (3) a mass-shooting of innocent Jews near Riga in 1941. Discuss it in the CODOH Forum. Excellent essay. Irving is a fast talker and apparently full of crap. Probably getting ready for his day in the limelight when they roll out Weber, David Cole, and Irving as interviewees in support of the upcoming Jewish propaganda film, Denial. Most likely will be an Oscar-nominated film in multiple categories, may win one or two, and then some onstage sadness for the 6 million who were never gassed. Great job dismantling the nonsense, Hadding. Thank you for your considerable contribution to revisionism.